Remove seeds from tomato, then dice into small pieces. Dice onion and cucumber. Chop cilantro. Combine tomato, onion, cucumber and cilantro in medium bowl. Cut jalapeno pepper in half and remove seeds. Finely chop, then add to bowl. Core and peel pineapple. Dice pineapple into small pieces. Cut lime in half. Juice each half to measure about 2 tbsp of juice. 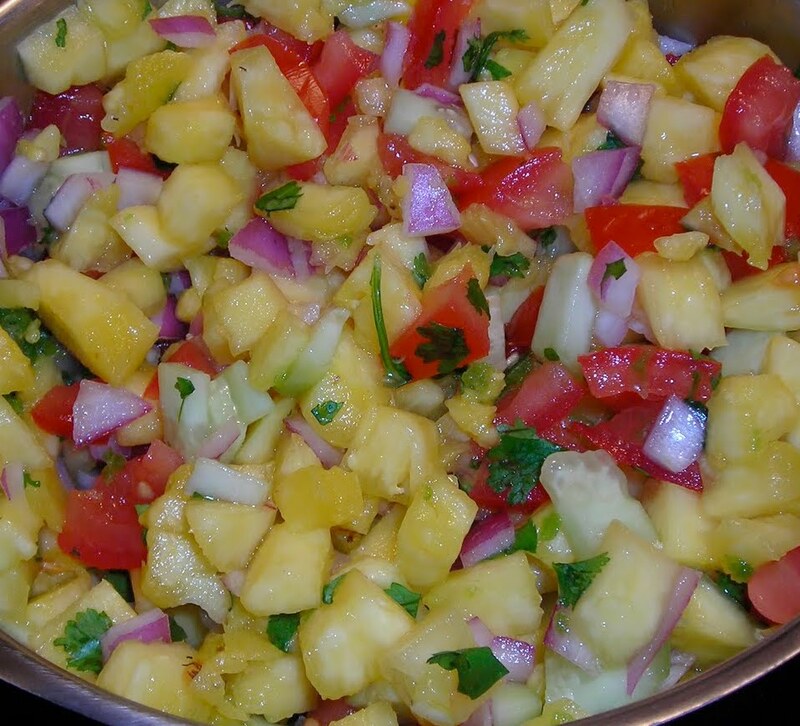 Add pineapple, juice and salt to bowl. Mix thoroughly till combined. Thanks to Pampered Chef for the recipe. If you haven't entered the giveaway yet, do it here.